Awkwafina attends the 91st Annual Academy Awards at Hollywood and Highland on February 24, 2019 in Hollywood, California. 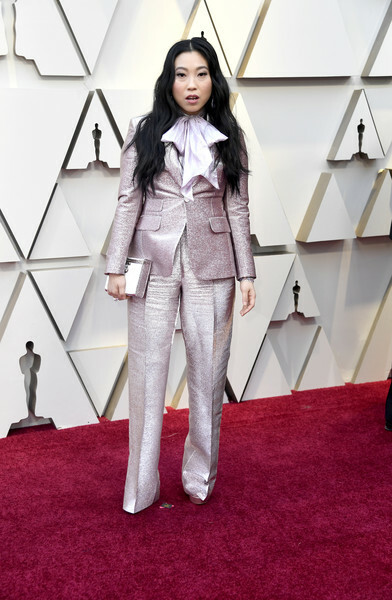 Awkwafina was '70s-chic in a metallic pink pantsuit by Dsquared2 at the 2019 Oscars. Awkwafina matched her suit wit a pale pink box clutch.